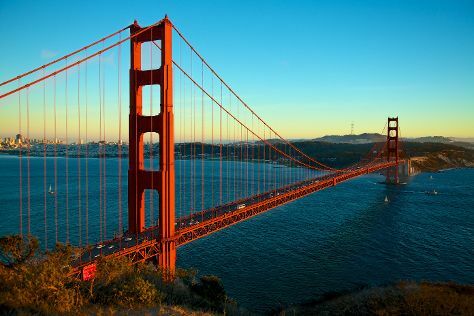 Start off your visit on the 11th (Fri): take a stroll through Fisherman's Wharf, then steep yourself in history at Alcatraz Island, and then snap pictures at Golden Gate Bridge. On the 12th (Sat), you'll have a packed day of sightseeing: stroll through Golden Gate Park, wander the streets of Union Square, and then browse the different shops at Ferry Building Marketplace. To see ratings, other places to visit, maps, and tourist information, you can read our San Francisco trip itinerary app . In January in San Francisco, expect temperatures between 59°F during the day and 46°F at night. Cap off your sightseeing on the 12th (Sat) early enough to travel back home.